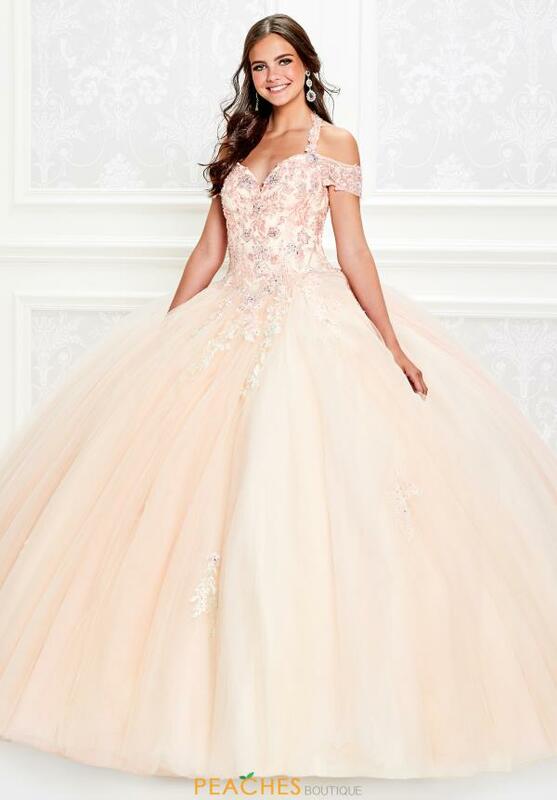 This gorgeous ball gown PR11925 by Princesa will capture everyone's attention. This dress features off the shoulder cap sleeves with a neck strap. The bodice of this dress is adorned with stunning lace applique creating a truly elegant look. The tulle ball gown skirt gives this dress a voluminous look and is adorned with lace applique. This dress is included with a shawl.